Alisha Rees claimed a Championship Best Performance on the second day of the Age Group Champs – with two more strong runs at 200m. 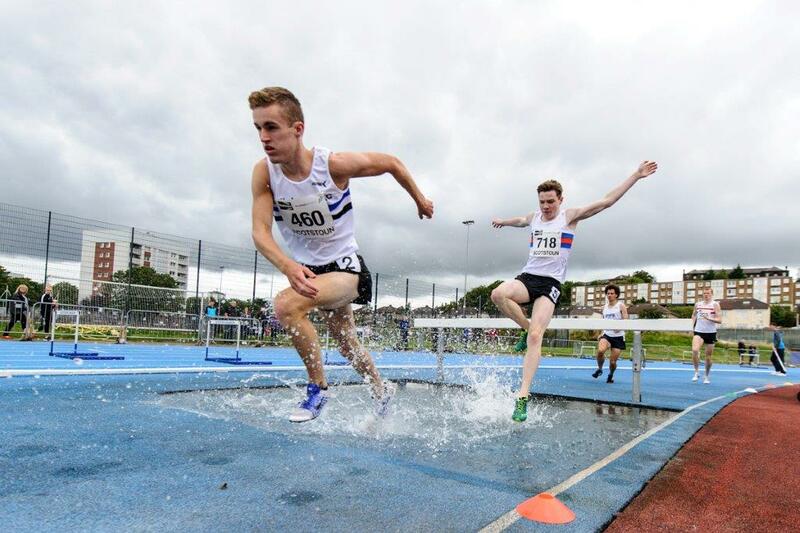 The GB international, who had recorded a 23.31 PB in midweek when representing GB Juniors in the Manchester International, took gold in 23.66 at Scotstoun. That took the CBP set back in 1994 by Sinead Dudgeon at 24.49. It was one of a number of fine performances as U15 athletes revelled in better conditions that the previous day for their U13 counterparts and the U20s completed their programme. 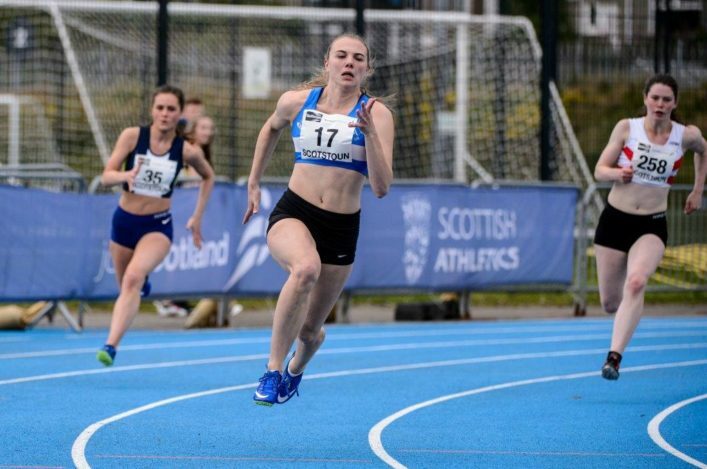 Rees had run 23.88 in the heat earlier in the day and in the final pulled clear of Arbroath and District AC’s Eilidh de Klerk, who took silver in 24.88 from bronze medallist, Selina Henderson of Falkirk Vics (25.24). 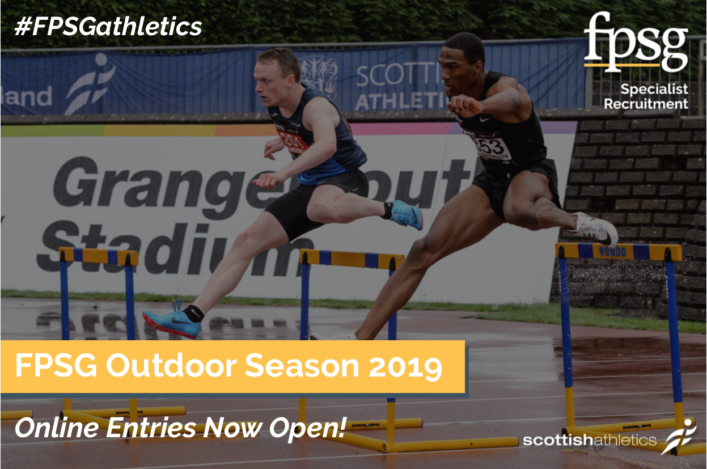 Fraser Angus of Kilmarnock Harriers won the Men’s 200m with 21.97 as he edged out East Kilbride AC’s Greg Kelly by three hundredths. In the U20 Men’s long jump, Lasswade AAC athlete Henry Clarkson took the win with a leap of 6.99m. Olivia Vareille won the Women’s 800m title from her Commonwealth Youth Games team-mate, Naomi Lang of Aberdeen AAC, in a time of 2.12.53. Sam Brown of Edinburgh AC took the Men’s race from Perth Strathtay’s Sol Sweeney, who had been 1500m champion the previous day, in a run of 1.52.94. 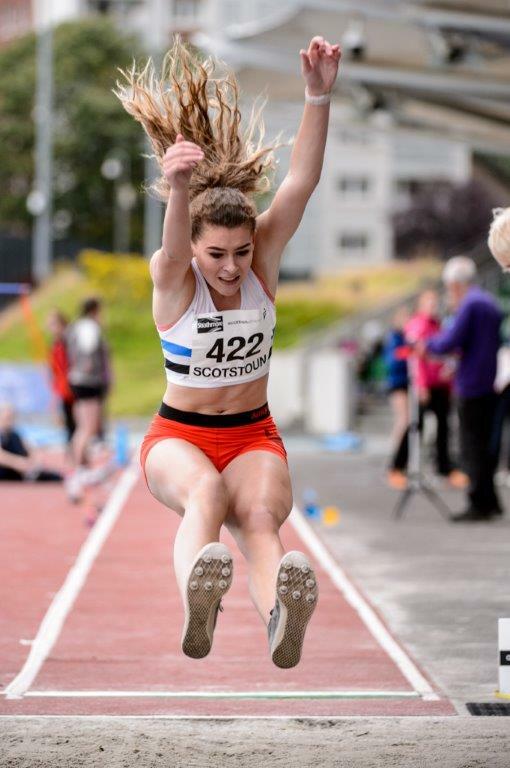 The top performance in the U15 Age Group was a National Record and Championship Best Performance by Ellie O’Hara in the triple jump. 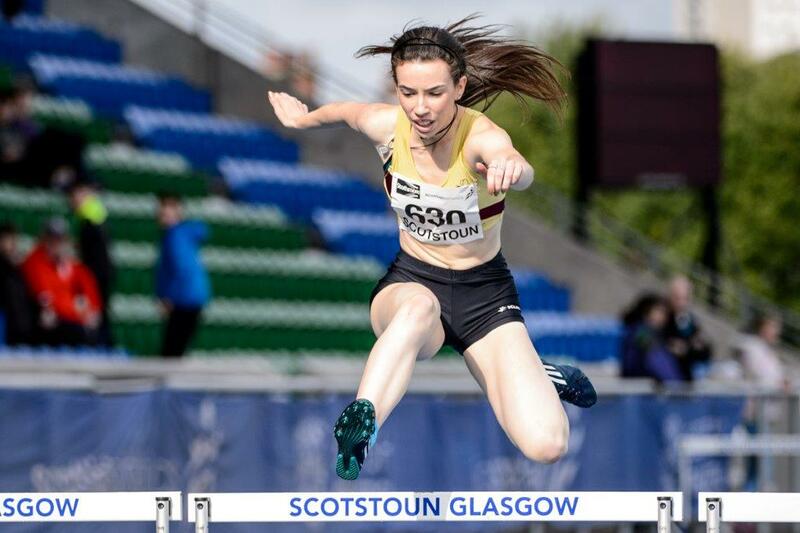 Ellie held the Record herself at 10.57 but leapt out to over 11m with 11.17m her performance at Scotstoun to take gold and improve that age group best mark in fine style. Murray Fotheringham of Giffnock North AAC took the Men’s U15 title with 5.94m. Fotheringham later added the 800m title. 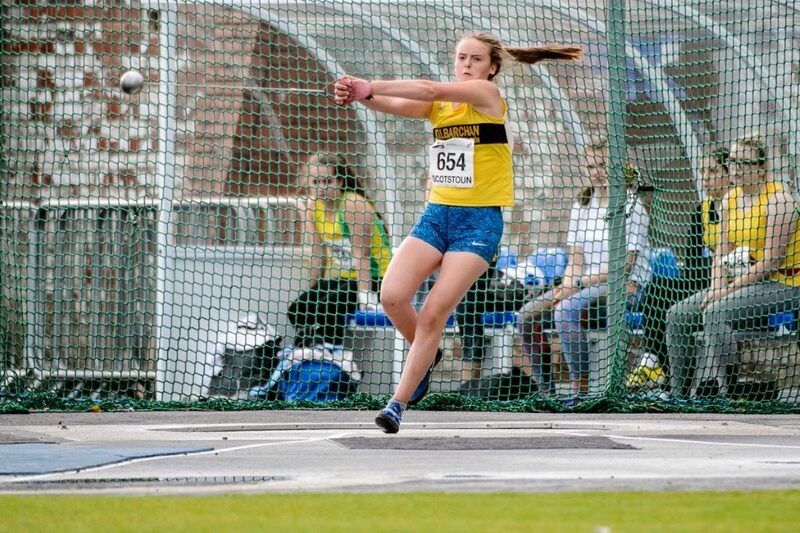 There was a Championship Best performance in the U15 hammer – with Kirsty Costello showing the kind of form she has displayed all season. A best throw of 55.18m was enough to take gold and improve that CBP by just over three metres. Anna Hedley of Fife continued her strong run of form with U15 victory at 1500m in a remarkable time of 4.37.30. Anna was driven on by strong competition from VP-Glasgow’s Lily-Jane Evans-Haggerty, who took silver in 4.38.59 after a great race by both athletes. It wasn’t all about performances, though, with participation a big factor when it comes to the Age Group Champs. 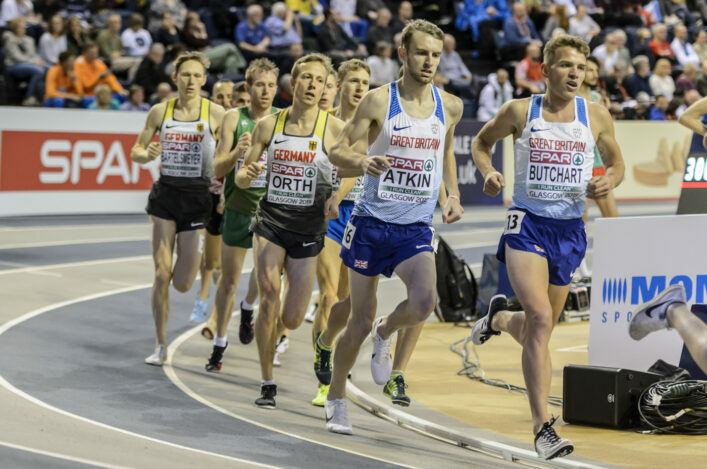 scottishathletics are firmly committed to trying to improve retention rates as athletes move through the stages and would also stress that bigger numbers of those competing – from all over Scotland – helps improve performances. Chairman Ian Beattie said: ‘It’s always good to see the support for these championships from clubs right across the country. ‘I was speaking to the Shetland AAC folk and learned that, for them, the Age Groups is a five-night trip. that’s a great commitment to competition but they stressed they want to be here and be part of the National Championships as it is best way for their young athletes to develop.